Our best! We have improved the formulation of this product several times over the past 19 years as the research has progressed. 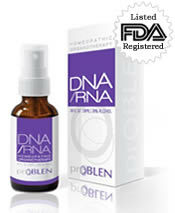 Contains our #1 clinically tested formula. Provides all the benefits of our original product below and more. Only this product contains homeopathic HGH, IGF-1, and velvet deer all in the same product and in the amounts that ensures optimum benefits! This product contains bioidentical testosterone and other ingredients in a safe and effective homeopathic formulation. Will not shut down the body's own release of T.
This product has been providing benefits for over 10 years. It is specifically designed to help the body to bring itself into balance in regards to the hormones which affect desire and improve sexual function. Libido contains a safe homeopathic formulation of bioidentical testosterone and other ingredients that have been shown to support a healthy prostate and bladder. 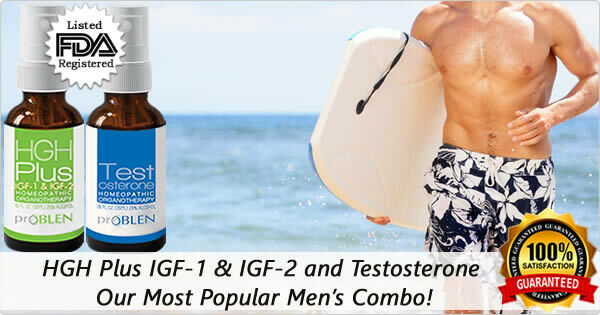 Will not shut down the body's own production of testosterone. Make Your Own Custom Combo Pack! We also offer custom Combo packages for men at a significant discount. All our products are made to work together. To check prices for individual products and Combos and to place your order just click below!